For more information contact: info@onlineftc.com and we will inform you of the next available HETC: Community Development programme. The HETC: Community Development (SAQA ID 23095) is a fully accredited NQF Level 5 qualification consisting of various Unit Standards. Learners who successfully complete the course are awarded with a Certificate of Competence endorsed by the ETDP SETA. Learners obtaining this qualification are able to support individuals and communities in achieving the development objectives that they have identified. The qualification further enables learners to plan and facilitate learning programmes that lead to community groups and individuals achieving full qualifications in their own right. Many Development Practitioners, including volunteers, are already in possession of a Further Education and Training Certificate but they lack a specific Development Practice qualification. This course is an accessible way for existing or aspirant development practitioners to obtain a basic qualification in the field. The qualification enables organisations that train and employ Development Practitioners to structure training programmes in accordance with nationally recognised standards, and to provide this training at a level which is in line with the goals and resources of the organisation. Practitioners wishing to pursue this qualification are assumed to have at least an NQF Level 4 qualification in Community Development or any other recognised education qualification at NQF Level 4. We recognise that many practitioners have been involved in community development without necessarily having had a formal qualification. Practitioners who do not have the necessary entry qualification may be admitted through an RPL process based on their experience in the field. Establish a community resource project. Establish and manage a local community support structure or project in a systematic manner which is informed by the basic principles of development practises. Theories and principles of development practice. 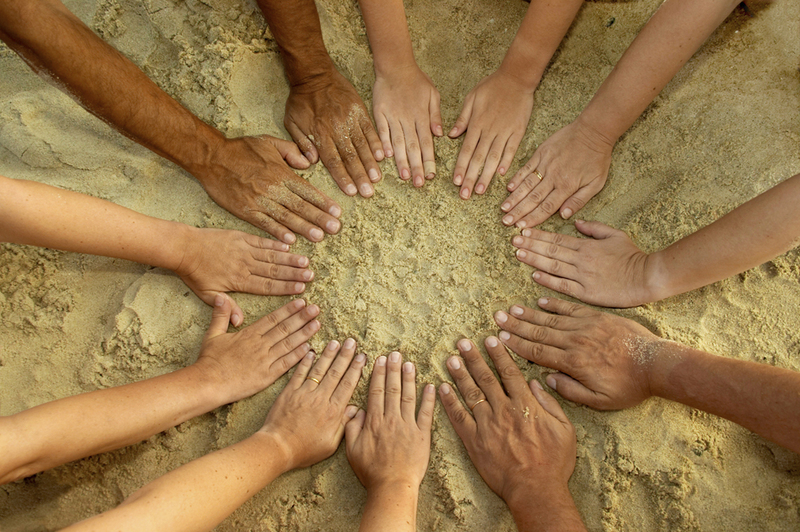 Review development practice projects in terms of theories and principles of transformative development practice that apply to broader society and to local community groups. Design evaluative programmes for development practice projects and use the information to inform future project design in ways that are in line with community principles and dynamics. Prepare effective and practical aids to assist learner achievement in development practice projects. As well as present a variety of information coherently and logically to masses of community learners from different backgrounds and orientations. Plan and coordinate research activities for the design of development practice projects. Learners will also be able to coordinate a number of research activities and structure coherent research reports for a range of key stakeholders that may provide assistance to the effective implementation of subsequent programmes. Plan advocacy campaigns and workshops. Write up facilitation plans for workshops and advocacy programmes and monitor the implementation of those plans. Also, evaluate and review facilitation plans and integrate findings in future workshops and advocacy programmes. Understand the project cycle through considering their application in their own work context and to a local economic development project. Plan the facilitation of learning. Write up facilitation plans for development practitioners and monitor the implementation of those plans. Learners will also be able to evaluate and review facilitation plans and integrate findings in future facilitation plans. Plan learning programmes based on community needs and community social development principles. Create procedural plans and steps in the implementation of these learning programmes that will include intended outcomes, agendas, assessment and evaluation techniques. Discuss entrepreneurship; identify and describe the characteristics of a successful entrepreneur; identify, assess and improve learners, individual entrepreneurial characteristics and discuss business ethics and social responsibility. General business plans and ideas. Describe and analyse the different components of a typical business plan and design a business plan relevant to a selected business idea. Human rights and democracy in society. Understand the concept of human rights and democracy and their application in society; including a variety of human rights and democracy related activities. Conduct assessments within their fields of expertise in line with the Criteria for the Registration of Assessors. This Unit Standard will contribute towards the achievement of a variety of Education Training and Development Practices and Human Resource Development related qualifications. Be able to assess learner performance against standards and qualifications registered on the NQF, using pre-designed instruments. Understanding HIV/AIDS and its implications. Reflect on and make informed choices about their attitudes and behavioural practices. It will also contribute to building a wider understanding of HIV/AIDS issues; to the rights of people living with HIV and AIDS; and to workplaces which are more responsive to the needs of those living with HIV and AIDS. The programme duration is negotiable. Learners are involved in a cyclical process that includes attending classes for one week, followed by two to three weeks of on-site fieldwork until all the courses are completed. The duration of on-site fieldwork is dependent on the specific course being covered. On-line support is provided when learners are in the field through e-Learning and telephonic counselling and consultation, on-site visits and moderation. Our training includes block training sessions where after the learners spend time in the field where learners are engaged in practical community development learning activities. This allows learners to complete the programme in 12 cycles. The fieldwork provides the opportunity for learners to apply their learning, receive on-site support and to be assessed. The Fundamentals Training Centre adopts an integrated approach to the delivery of its courses. The courses, while based on the required set of Unit Standards, are inextricably linked and ‘speak to each other’, converging in a focused, needs-driven programme aimed at producing well-rounded and effective Community Development Practitioners. FTC conducted 2 learnerships for the ETDP SETA in 2009 and 2012 on the HETC: Development Practice Programme and provided the full qualification to 6 candidates from Jazzart Dance Theatre. Candidates for the learnerships were selected from a number of local municipalities, NGO’s and CBOs including The City of Cape Town, CANSA, Future Factory, Youth Unplugged, RedZebra and Lifeline. 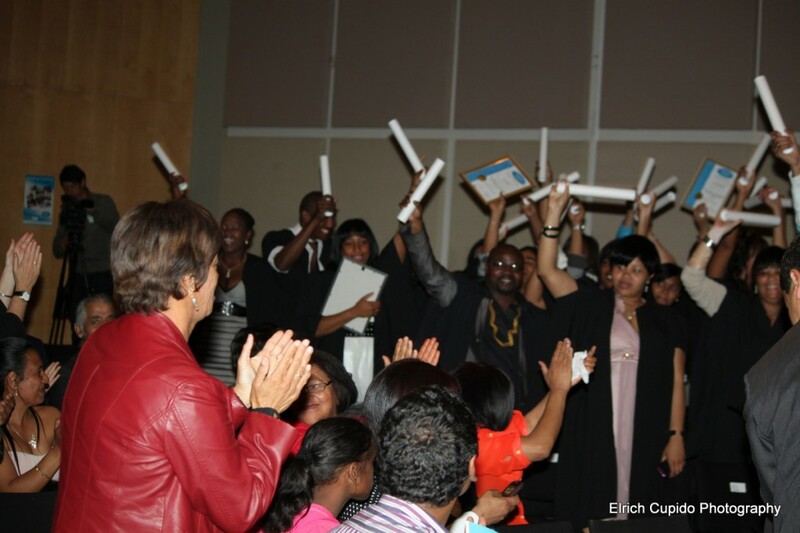 In total 73 youth and women were put through the programme of which 49 graduated with the full qualification. The remaining students gain Certificates of Competence for the unit standards that they completed. FTC was contracted to provide the Establish a Community Project skills programme with 8 candidates from the Volunteer Centre. FTC conducted an accredited Event Management Training Programme for 22 data capturers for the Department of Cultural Affairs and Sports. The programme was aligned to the Unit Standard: Plan Advocacy Campaign and Workshop in Development Practice. On completion of the course, learners were awarded with Certificate of Competence for this unit standard.